A functional farm safety net is essential for wheat producers, who are involved in one of the riskiest industries in our economy. 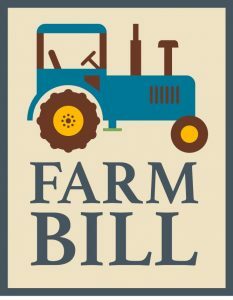 On December 20, 2019, President Trump officially signed The Agriculture Improvement Act of 2018, commonly known as the Farm Bill, into law. The bill contains programs not only beneficial to wheat growers but all of agriculture. It includes a strong safety net program that provides meaningful coverage for producers throughout the country. Working lands programs (EQIP, CSP and CRP) were NAWG’s conservation priority in the bill which commits to making these programs stronger. The 2018 farm bill also includes provisions that are mindful of the worldwide marketplace in which our commodities are traded. NAWG will work with Congress and the U.S. Department of Agriculture during the implementation of the 2018 Farm Bill and are using our grassroots resources to develop priorities for the next Farm Bill.